Need a used car? 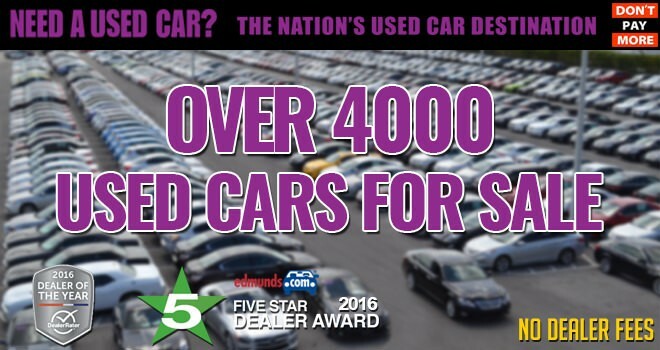 The Nation’s Used Car Destination is STOCKED FULL with more than 4,000 OffLeaseOnly used cars for sale! If you want to save Thousands on your used car purchase, shopping OffLeaseOnly is a must! OffLeaseOnly offers a MASSIVE selection of over 4,000 quality used cars for sale! Browse over 4,000 of the nicest, cleanest, quality used cars for sale now from the comfort of your computer! 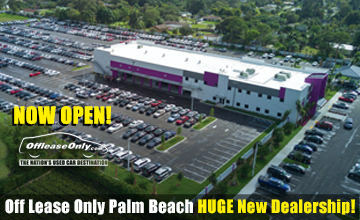 All OffLeaseOnly used cars are priced thousands below retail with no hidden fees and no stress of negotiating price. 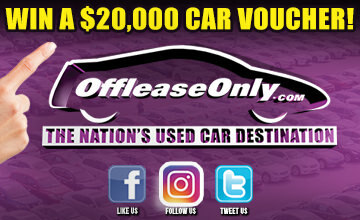 OffLeaseOnly is dedicated to offering the most incredible selection of nearly every make and model used vehicle priced from under $10k- $150k+ in a stress free and enjoyable environment. From Acura, Audi, Bentley, BMW, Chevy, Ford, Honda, Infiniti, Jaguar, Jeep, Lexus, Mazda, Maserati, Mercedes, Nissan, Toyota, Volkswagen, Volvo and everything in between, OffLeaseOnly gives customers what they want! OffLeaseOnly has hundreds of used cars for sale priced well under $10k! Plus, you can do all of your research online ahead of time. Utilize OffLeaseOnly.com to find the perfect car for you. Sort by make, model, price, miles, trim and so on. 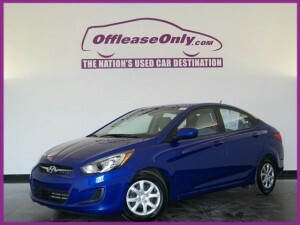 Here is an example of a 2014 Hyundai Accent priced at just $8,999 with 38k miles. What a great first car option! OffLeaseOnly has many used cars for sale priced under $10,000 making it affordable to get a reliable car at a price that makes sense. Need financing? Due to OffLeaseOnly’s volume, banks compete hard to earn our customers business with very competitive rates! You can get pre-approved online for your car financing to speed up the process. Looking for luxury? OffLeaseOnly has SO many choices! OffLeaseOnly offers the finest selection of quality pre-owned Mercedes for sale! How about a gorgeous Mercedes-Benz? 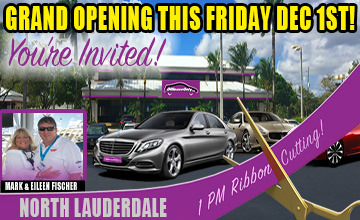 Shop over 400 of the nicest pre-owned Mercedes for sale and see why Mercedes lovers are so loyal to OffLeaseOnly! Currently OffLeaseOnly has used Mercedes from $10,999-$84,999, offering options for every budget to ride in style. According to Pure Cars Independent Data, this stunning red 2013 Mercedes-Benz SL550 Convertible RWD is priced nearly $13,000 less than the market average at just $57,999 with only 16k miles. 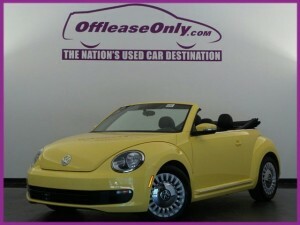 OffLeaseOnly has hundreds of Volkswagens for sale, all priced thousands below retail! Why buy new when you can SAVE THOUSANDS buying nearly new at OffLeaseOnly? At OffLeaseOnly you never have to settle due to our massive selection. It’s important our customers have a selection second to none to make sure you get the color you LOVE for a price you’ll LOVE even more! Looking to put the top down and feel the wind through your hair? There’s nothing better than this SUPER CUTE and basically brand new 2015 VW Beetle Convertible priced at just $17,999 with 4,722 low miles. With hundreds of used Volkswagen models for sale, you are sure to find the perfect one for your style and budget! 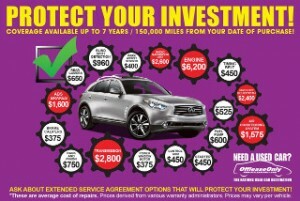 OffLeaseOnly has an incredible Used Infiniti Selection! 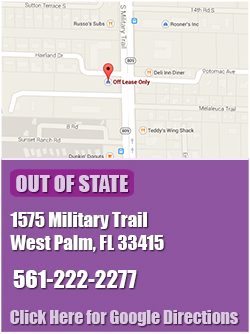 OffLeaseOnly also has an impressive section of used Infiniti models for sale! 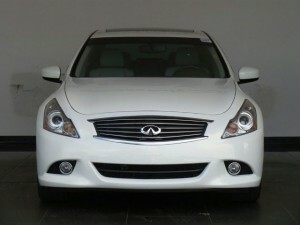 Check out this gorgeous white Infiniti G37 Sedan priced at just $19,999 with just over 16k miles. Who says luxury has to be expensive? 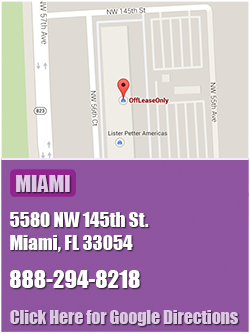 OffLeaseOnly is proud to offer customers a way to get more car for less money. Have a trade-in? GREAT! OffLeaseOnly is committed to paying fair market value for all trade-in’s and we will purchase your used car even if you don’t purchase one from us! 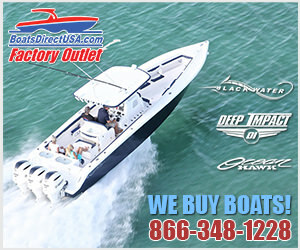 All quality trade-in’s are kept on our lots, and the trade-in’s not deemed worthy are wholesaled out to other dealers. Stop by any dealership to get a Free Trade Appraisal. OffLeaseOnly Extended Service Agreements give additional peace of mind to your used car buying experience. For additional peace of mind, OffLeaseOnly offers extended service agreements up to 7 years and 150,000 miles from your date of purchase. These extended service agreements are great because they are transferable to the new owner when it comes time to sell your car, or you can get a refund on the unused portion. 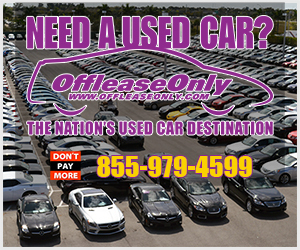 With thousands of used cars, all priced thousands below retail, OffLeaseOnly has the perfect used car for every budget. From your first car to that luxury dream car you’ve always wanted, OffLeaseOnly makes dreams come true every day! Ready to purchase? Click Here to get a simple list of what you will need to bring when purchasing your OffLeaseOnly used car. Then stop into any of our OffLeaseOnly used car dealerships from Miami to Orlando and see why over 100,000 happy customers love The Nation’s Used Car Destination! Next Story → OffLeaseOnly Partners with Kelley Blue Book!